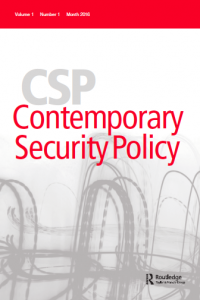 Contemporary Security Policy – At the nexus of proof and policy, we have published research on armed violence, intervention, and conflict resolution since 1980. Thrilled to announce that Contemporary Security Policy is now included in the Social Science Citation Index (category “International Relations”). We are expecting our first impact factor in June/July 2019. In a new article, Mark Beeson and Alan Bloomfield show that it takes more than Donald Trump to upset American-Australian security relations. The alliance with the United States is deeply ingrained and institutionalized in Australian strategic culture. To say that Donald Trump has had a big impact on international politics would be putting it mildly. Whether by design or accident his administration has managed to overturn many taken-for-granted verities of the international order that Trump’s predecessors fashioned after World War II. 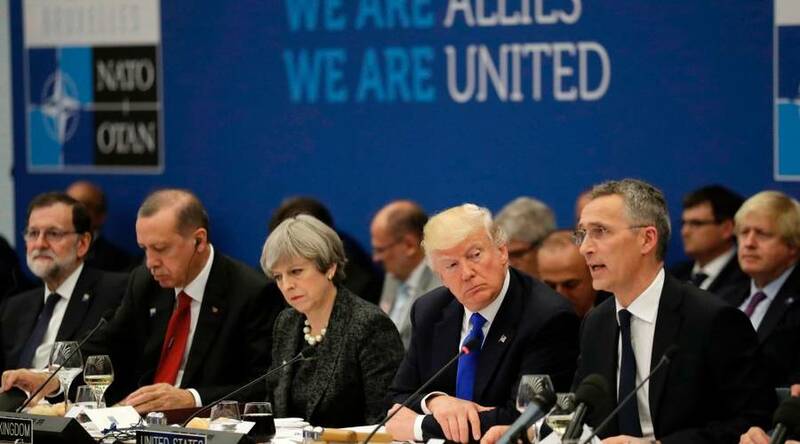 Even the future of pivotal Western institutions, such as NATO, is uncertain. Friends and foes alike are therefore reconsidering their relationships with Washington. And yet for all the uncertainty and anxiety Trump’s unpredictable and ‘transactional’ approach to policy-making has created, some relationships and institutions are surprisingly durable. Our article focuses on Australia, but its findings suggest that while what we call the ‘Trump Effect’ has had a major impact on some of the more theatrical aspects of international politics, underneath the colour and movement some institutionally embedded alliance relationships are very resistant to change. We find that grand strategy is one policy area that is hard to change. Canadians may be highly offended by some of Trump’s antics, for example, but they do not consider the United States to be an enemy and the border will almost certainly remain undefended. Likewise, the deeply institutionalised intelligence sharing arrangements that distinguish the ‘Anglosphere’ nations – the US, UK, Canada, Australia and New Zealand – also look likely to remain operative. This rigid thinking may surprise observers unfamiliar with Australian grand-strategic discourse. Australia enjoys unique natural defensive advantages given it shares no land borders with other states and its distance from potentially threatening great powers. It is also very wealthy: Australia’s 25 million people live in the 14th largest economy in the world (and their taxes pay for the 13th largest defense budget). Objectively, Australia seems especially secure. Consequently, the pervasive sense of anxiety that has pervaded Australian strategic planning for a century now takes some explaining. In Australia’s case, relative isolation from the Anglo great powers has always been seen as a source of vulnerability and insecurity. This made more sense a century ago: for example, on the eve of World War I the enormous continent was inhabited by only 4 million people. But as noted just above, Australia is a powerful state in its own right now. So why, even though the impact of the Trump Effect is clearly negative, are Australian policy-makers seemingly unable to even begin thinking about distancing themselves from the source of these disturbances? We found that it required a major external shock in World War II to bring about the first significant grand-strategic change in Australia’s history, the shift of allegiance from Britain to the US. In other words, only the credible threat of invasion by a hostile great power, Japan, which was conquering – and savagely exploiting – most of Asia, proved a sufficiently compelling ‘critical juncture’ to cause substantial change. Another less-radical but still significant grand-strategic shift occurred around 1970 when Australians believed that they had been abandoned by London, and that Washington’s commitment to Asia had weakened substantially. This second shock was sufficient to cause a critical juncture leading to the dethronement of ‘forward defence’ doctrine and the rise of ‘continental defence’ logic. But Canberra’s commitment to the US alliance hardly wavered. We find the Trump Effect comes nowhere close to delivering the same sort of exogenous shocks; consequently, we advise observers to expect ‘no change’ in Australia’s grand strategy. Accordingly, we submit that to account for the way policy-making elites in different countries calculate their different national interests, scholars must consider the role that their distinctive strategic cultures play in shaping policy outcomes. In Australia’s case, it is not just sense of inherent vulnerability that accounts for the surprising durability of its alliance relationship with the US. What makes Australia’s ties to the US relatively impervious even to the Trump Effect, we suggest, is the way the bilateral relationship has been institutionalised over the decades – in treaties (most notably ANZUS), at the executive level but also at lower-bureaucratic levels, through multiple avenues of ‘Track 2’ diplomacy, etc. – which goes a long way to explaining why, over 70 years of public opinion surveys, support for the alliance averages in the high-70s percent and has never fallen below 63 percent. Indeed, it is striking that policy-makers from both major political parties almost never criticise the alliance; only after leaving office do (a very few) retired senior politicians rediscover their critical, independent faculties. By this stage, of course, it’s too late to make much difference. It is also worth noting that the rise of China as a regional economic powerhouse and strategic rival has reinforced rather than undermined the centrality of ANZUS. Given its economic importance to Australia, no one talks openly about ‘containing’ China; but Australia is about to spend a lot money on re-armament to ensure it can play its customary role in supporting Washington’s strategic ambitions, including (by implication) those directed against Beijing. Indeed, the idea that Australia might bandwagon with a rising China is virtually unthinkable, and those who dare to suggest Australia should work hard to upgrade its relationship with China run the real risk of being publicly pilloried. 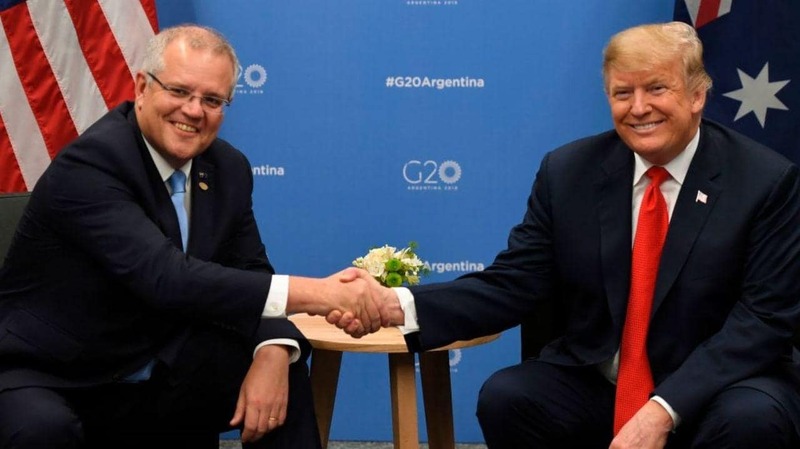 In short, Australia’s supportive, strategically-dependent role is deeply ingrained and institutionalised as part of its distinctive strategic culture; and it is likely to withstand even the mercurially-disruptive presence of Mr Trump too. Mark Beeson and Alan Bloomfield work at the University of Western Australia. They recently published “The Trump effect downunder: U.S. allies, Australian strategic culture, and the politics of path dependence”, Contemporary Security Policy, Advance online publication, available here. In a new article, Nick Ritchie analyses the power politics behind the recent Ban Treaty. He argues that the Ban Treaty challenges the set of core international social institutions of nuclear order. Whether this challenge is sustained remains to be seen. We live in interesting times for the global politics of nuclear weapons. The resurgence of deep animosity between the United States, NATO and Russia, concerns about the ability of President Donald Trump to authorize the use of nuclear weapons, and the nuclear threats and insults between the US and North Korea in 2017 all revitalized public fears about nuclear war to an extent not felt since the 1980s. Less well known is a movement of governments, NGOs and international institutions over the past eight years to galvanize progress towards nuclear disarmament as the only long-term solution to the threat of nuclear violence. This resulted in a new Treaty on the Prohibition of Nuclear Weapons negotiated at the UN in 2017 to ban nuclear weapons. It was supported by 122 states across the global South but rejected by the nuclear-armed states and their allies. This polarization is symptomatic of the fractious state of nuclear politics. Given these significant developments, how can or should we understand the messy politics of nuclear weapons in today’s world? In my new article, I argue that the starting point has to be power. This might seem obvious, but it is often missing from serious analysis of nuclear politics and the idea of a ‘global nuclear order’. By taking power seriously we can get a much better understanding of the global politics of nuclear weapons as a ‘global nuclear control order’, one in which the power of the United States is central but not reducible to it. I define this as a well-established set of practices (material, institutional and discursive) that legitimizes, regulates, and disciplines the development and use of nuclear technology and knowledge. But it does so selectively and in ways that reproduce a global nuclear hierarchy in general and U.S. power and preferences in particular. This includes the selective regulation and disciplining of nuclear weapons and nuclear energy programmes and the selective legitimation of the possession of nuclear weapons and even nuclear attacks. The United States has played the central ordering role in global nuclear politics as the world’s most powerful state. But my argument that the global nuclear control order is rooted in but not reducible to U.S. power is important because it demonstrates the ways in which the global politics of nuclear weapons is shaped by structures of power that have developed and endured over seven decades. Three further points are relevant here: first, these power structures are hierarchical and they have enjoyed the widespread support of most of the world’s major powers with the exceptions of Germany and Japan in the 1960s, China until the 1990s, and India on a limited but continuing basis. 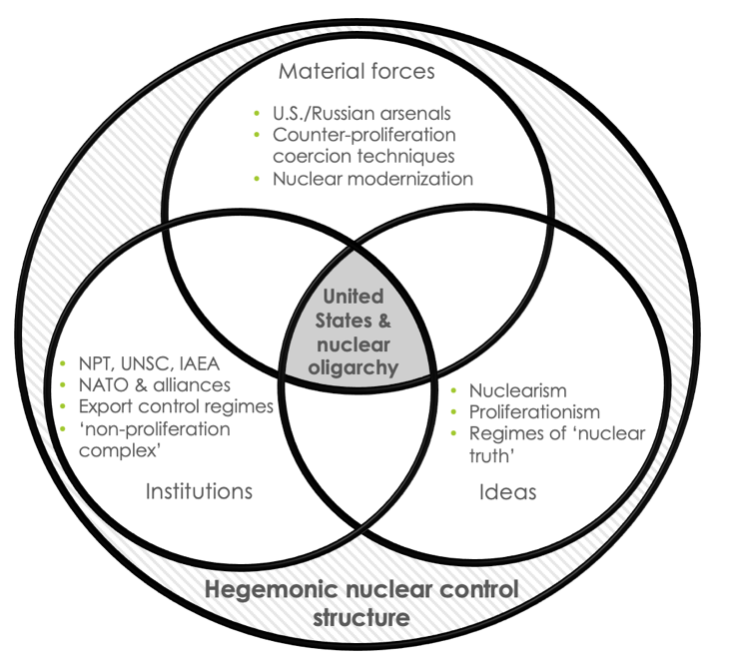 Second, the United States might be the most powerful state in global nuclear politics, but only within a wider nuclear oligarchy of other nuclear-armed states and nuclear beneficiaries; and third, the nuclear control order is embedded in a broader set of power structures that characterize the post-1945 capitalist ‘international liberal order’. 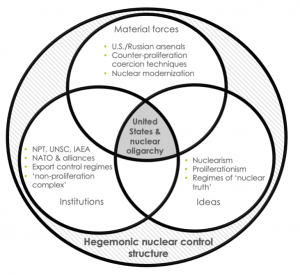 For these reasons, the global nuclear control order should be understood as a hegemonic order. 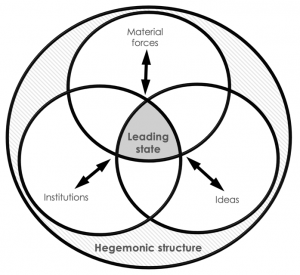 Hegemony, in this sense, refers to a structure of power that is sustained through a combination of coercion and consent between the dominant and dominated. Political scientist Robert Cox argued that coercion and consent are practiced through material power, institutions, and ideas about how political life should be organized. 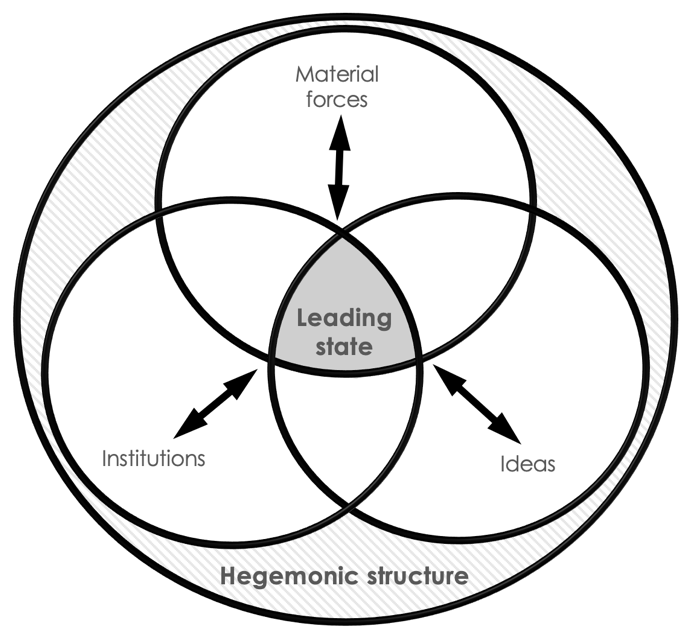 A hegemonic structure describes “a particular combination of thought patterns, material conditions, and human institutions which has a certain coherence among its elements” as Cox put it (p. 135). Thinking about global nuclear politics in this way means thinking about power beyond traditional notions based on material military and economic power. Instead, we need to think about material power, institutional power, the discursive power of ideas, and structural power. It is the way in which these forms of power are exercised and experienced in global nuclear politics to selectively empower and legitimize that is captured by Cox’s framework. Through this lens, global nuclear politics constitutes a hegemonic structure of control. A set of formal international institutions that regulate civilian nuclear technologies, knowledge and practices, notably through the International Atomic Energy Agency (IAEA). 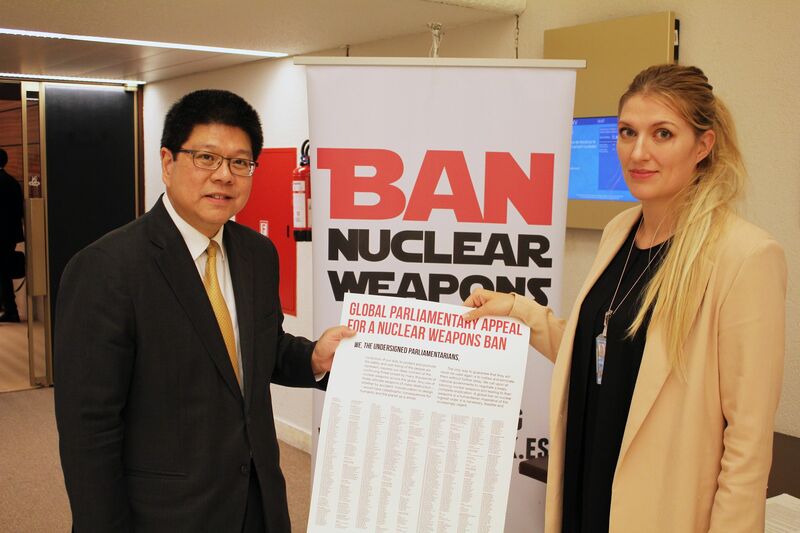 The ban treaty has challenged the legitimacy of some (though not all) of these social institutions because of the growing permanence of nuclear inequalities and injustices. It is an expression of collective resistance to those aspects of nuclear hegemony, nuclear hierarchy, and practices of nuclear control that legitimize and perpetuate the existence of nuclear weapons, the practice of nuclear deterrence, and the continuing risk of catastrophic nuclear violence. What is clear from this analysis is that changing the global politics of nuclear weapons through initiatives like the ban treaty entails confrontation with an embedded historical structure of power and hierarchy. A sustained challenge has the potential to change things at a time when wider power structures and hierarchies in global politics are in a period of flux, but it will need to be sustained. Nick Ritchie is a senior lecturer at the University of York, UK. He recently published “A hegemonic nuclear order: Understanding the Ban Treaty and the power politics of nuclear weapons”, Contemporary Security Policy, Advance online publication, available here. The deployment of THAAD in South Korea has resulted in considerable controversy. 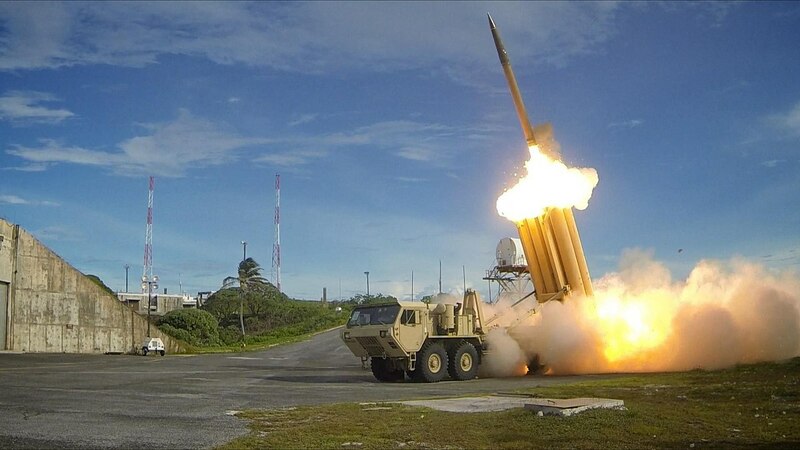 In a new article, Inwook Kim and Soul Park however argue that THAAD is vulnerable to readily available, relatively inexpensive, and highly effective countermeasures. They therefore suggest that the threat of retaliation should continue to be a dominant deterrence strategy. In July 2016, huge political controversy and diplomatic friction erupted in Northeast Asia over the United States and Republic of Korea’s announcement to deploy the Terminal High Altitude Area Defense (THAAD), a latest ballistic missile defense (BMD) system, designed to intercept short-, medium-, and intermediate-range missiles at their terminal flight stage. Though justified as South Korea’s defensive measure against North Korea’s growing nuclear and missile threats, multitude of actors in the region opposed the deployment. They pointed out issues such as environmental concerns or intra-alliance politics, but most contentious was its possible ramifications on U.S.-China strategic balance in the region. Unsurprisingly, a desirability of the THAAD deployment quickly became a subject of intensely politicized issues and debates, presenting significant challenges to regional politics and security. Our recent article is motivated by this seemingly irreconcilable, complex, and consequential controversy. Rather than confronting these debates as a whole, however, we choose to focus on the two fundamental questions that underlie the debates: whether THAAD is a capable defense system, and how best to ensure South Korea’s national security against North Korea’s nuclear and missile threats. Is THAAD’s interception capability what it promises to be? Although some are more critical than others, the conventional wisdom can be summarized as “qualified optimism,” or that THAAD is not perfect but net-positive to South Korea’s missile defense. However, we find assumptions of this widely-shared assessment too static because it fails to properly take into account military countermeasures North Korea would be prompted to undertake in order to neutralize the new BMD system. To address this gap, we give analytical primacy to the dynamic nature of arms race, more specifically, to the availability, cost, and effectiveness of military countermeasures North Korea can develop. Examining a variety of countermeasures against BMD systems, we find that manipulation countermeasures, those designed to exploit the THAAD’s technical vulnerabilities, are readily available, relatively inexpensive, and highly effective. Three such countermeasures are particularly noteworthy. First, North Korea can deceive the THAAD system by making discrimination of real warheads from decoys difficult. By “mimicking the appearance of real reentry vehicle when viewed by various optical or radar sensors,” decoys have been an effective measure to confuse the radar and hence reduce a chance of successful missile interception. Second, missiles could be turned into tumbling or spiraling in their terminal phase of flights. They make the missile flight movements erratic and unpredictable, against which THAAD and its radar is yet to demonstrate monitoring and interception capability. So far, the BMD tests have only been conducted against incoming missiles with stable and straight flights. Third, North Korea can simply outnumber the THAAD interceptors. One THAAD battery comes with only 48 ready-to-launch interceptors and they take up to one hour to reload. It is also estimated to cost $800 million per battery. From Pyongyang’s point of view, the use of numerical superiority is an attractive option as no new technical knowledge is necessary and it imposes significantly higher cost to Seoul to maintain the numerical parity of THAAD interceptors. In short, as missile technology decisively favors offense over defense, we find the technical and financial viability of defending North Korea’s missile threats through the construction of a missile defense system questionable at best. Rather than to deploy the THAAD system to beef up defense capabilities, we argue that the current extended nuclear deterrence framework based on massive retaliation should continue to provide strategic stability on the Korean peninsula. In other words, a “deterrence gap” does not seem to exist against a nuclear-armed North Korea that warrants additional enhancement of defense capabilities. In our article, we examine two key components of nuclear extended deterrence. First, the current nuclear balance and projections moving forward all remain highly favorable for the United States against regional nuclear states. As it stands, the overwhelming U.S. nuclear and conventional retaliatory capability can easily overwhelm North Korea’s small arsenal even in the most pessimistic of scenarios and without the added THAAD defense capability. Such strategic nuclear arsenals are further supplemented with U.S. military commitment to the Asia-Pacific region at the conventional level. Thus, massive retaliation based on the current and conventional balance should serve as strong deterrence mechanism against any North Korean nuclear attacks or military provocations. Second, extended nuclear deterrence remains a viable option as long as the U.S. remains committed to its allies against nuclear North Korea. To this end, successive American administrations in the post-Cold War era have continuously reaffirmed its security commitment to the U.S.-ROK alliance and to the maintenance of extended deterrence in East Asia. This policy stance has remained unchanged under the current Trump administration as key officials have continuously identified its alliance with South Korea as being the “lynchpin for peace and security” in the region. Tellingly, as North Korea continued to conduct nuclear and intercontinental ballistic missile (ICBM) tests in 2017, it was the logic of massive retaliation and not the logic of denial that underpinned the Trump administration’s strategic posture. More crucially, credibility does not necessarily have to operate with 100% assuredness. Pyongyang only need to believe that the U.S. might respond to an attack for extended deterrence to remain credible. In fact, the credibility of extended nuclear deterrence has been institutionalized even further within the U.S.-ROK alliance framework as the Extended Deterrence Strategy and Consultation Group (EDSCG) was regularized under the Trump and Moon Jae-in’s administrations. In sum, how should South Korea maintain “deterrence under nuclear asymmetry”? Given the relatively inexpensive countermeasures readily available and with the technological imbalance favoring the missile offense over the THAAD defense capabilities, the threat of retaliation against a nuclear North Korea should continue to be a dominant deterrence strategy. However, we caution against outright rejection of THAAD’s deployment. THAAD has never been a mere technical issue but increasingly become one concerning alliance credibility. Therefore, while Seoul and Washington are ill-advised to treat THAAD as a reliable defense system, they still should evaluate its benefits and costs in the larger context of alliance credibility management. More broadly, our article draws attention to a lack of appreciation for security dilemma among practitioners–security is a product of interactions between two or more states and therefore the optimality of weapons acquisition must be assessed with the adversary’s ability and willingness to respond. Inwook Kim and Soul Park are respectively Assistant Professor at the Singapore Management University and Lecturer at the National University of Singapore. They recently published “Deterrence under nuclear asymmetry: THAAD and the prospects for missile defense on the Korean peninsula”, Contemporary Security Policy, Advance online publication, is available here. Posted on October 17, 2018 October 17, 2018 Categories Cyber, Posts by authors, StrategyLeave a comment on How should we use cyber weapons? Contemporary Security Policy is seeking proposals for a special issue to be published in 2020 (volume 41). The special issue should address a topic within the aims and scope of the journal. The special issue will consist of a substantive introduction and 6-7 articles. The introduction should stand on itself. It should serve as a state-of-the-art article and be a reference point for all the other articles in the special issue. It is recommended that special issue proposals include 9-10 articles. All articles will be sent by the journal for peer-review on an individual basis. It is unlikely that all articles will eventually make the cut. Please submit your application (one PDF file) to csp@nullmaastrichtuniversity.nl. The deadline for the special issue proposal is 15 December 2018. The decision will be announced soon afterwards. The decision by the editor is final. All articles, including the introduction, will have to be submitted by 15 April 2019. 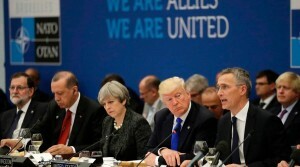 U.S. President Donald Trump has consistently criticized allies for their lack of contributions to common security and defense efforts. A new article in Contemporary Security Policy shows he is partially right: The presence of U.S. military personnel abroad, while bolstering U.S global influence, also lowers the willingness of the host states’ citizens to fight for their own country. In short, the message is that defense burdens are unequally shared, and that allies unfairly free-ride on The United States’s military might. The United States’s military might, for its part, is unprecedented and unrivaled. The U.S. military budget exceeds 600 billion dollars, accounting for over one-third of world total military spending. The U.S. also has a vast, globally-spanning network of military bases, which no other country comes close to equaling. 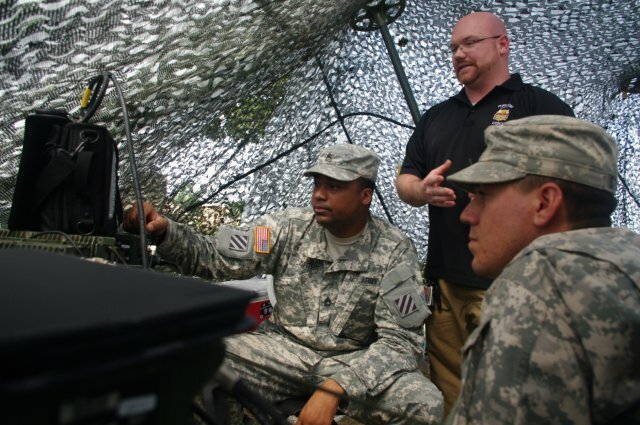 These overseas military facilities have many noteworthy effects. One is that they significantly augment U.S. influence abroad and contribute to upholding U.S. hegemony – or Pax Americana. Another is that forward-deployed U.S. troops provide a “tripwire” that credibly conveys to any enemy of the ally that an attack on the latter will most likely draw in the United States. The tripwire function served by U.S. soldiers was brilliantly described by Thomas Schelling at the height of the Cold War; the same rationale still underlies much of U.S. base policies, including in states such as Japan, South Korea, and recently Poland as well. When U.S. troops are placed “in harm’s way,” deterrence is markedly strengthened. But so, too, is the ally’s knowledge that their patron cannot realistically abandon them. The ally’s scope for free-riding is therefore inevitably linked to the tripwire mechanism. 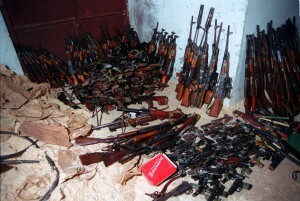 For U.S. allies, then, butter can to an extent be substituted for guns. This lies at the core of President Trump’s admonitions about allies’ purported free-riding: Their military spending usually make up only a meager share of total national income. On the other hand, it is quite common for allies of the United States to reciprocate by contributing in other ways; they often make other important policy concessions – such as providing access or basing rights, making financial contributions to the alliance, or, more generally, aligning their foreign policies closer to the United States. This also means that it is not a straightforward exercise to measure whether allies “free-ride” on the United States. Still, the problem is more salient when burden-sharing and free-riding are conceived of as material – that is, as highly tangible – concepts (such as defense spending as a share of GDP). These are eminently measurable factors that the United States can influence quite directly. Things differ, however, when we consider the attitudes, norms, and values of the allies’ populace, such as the willingness to fight for their own country. The U.S. can certainly not have any direct power over the sentiments of people, which are exclusively intangible factors. This implies that, if the deployment of U.S. troops causes a lowering of citizens’ willingness to fight for their own country, the latter cannot as easily be compensated by policy concessions in other areas. Free-riding might therefore be more prevalent in its non-material version. In our empirical analysis, which covers the period 1989–2014, we rely on global survey data that draw on the responses of over 200,000 people in about 100 countries. Our results show that citizens’ willingness to fight for their own country drops markedly if U.S. troops are stationed on their soil. Even when we control for a number of other relevant factors that can impact willingness to fight, U.S. overseas military bases remain a potent predictor. The forward-deployment of U.S. troops seems – as an unintended consequence – to contribute significantly to non-material free-riding by allies of the United States. The results also indicate the existence of a tripwire- or free-riding threshold. One hundred U.S. troops, for example, are largely insufficient for purposes of creating a tripwire effect. A few hundred troops, however, may well be enough. And once U.S. troops numbers pass 500, and in particular 1000, it seems that the host state’s citizens become firmer still in their belief that their state’s defense has been credibly outsourced to the United States. These numbers approximate the size of a battalion – that is to say, an independently-functioning military unit. A battalion-sized U.S. force is a fully-working tripwire. But a battalion-sized U.S. force thereby also signals that the United States is providing for the defense of its ally – which essentially means that less is required by the ally itself. The empirical evidence of non-material free-riding means that President Trump (and the many who share his opinion) is not necessarily in the wrong when he claims that allies free-ride. However, it is also true that U.S. alliances and forward-deployed troops are not acts of charity. They are, in fact, key ingredients of a long-standing grand strategy that stresses the centrality of a global presence; vital U.S. security and economic goals are served by the network of bases. Both the United States and its allies gain much and lose a bit from such relationships. For that reason alone, we can surely expect that the debates and bargaining about defense burdens and free-riding will continue for a long time. Jo Jakobsen is a professor in political science at Norwegian University of Science and Technology (NTNU), Department of Sociology and Political Science. Tor G. Jakobsen is a professor in political science at NTNU Business School. They are authors of “Tripwires and free-riders: Do forward-deployed U.S. troops reduce the willingness of host-country citizens to fight for their country?”, Contemporary Security Policy, forthcoming. David H. Ucko and Thomas A. Marks propose, in their new article, a theoretical framework that places military tasks in their proper supporting relation vis-à-vis the political and which identifies and explores the interaction of military tasks with other, non-military lines of effort. Despite its efforts to conceptualize present challenges through concepts such as “hybrid war” and “the gray zone,” the United States remains overly reliant on the strategic utility of military force and has struggled to translate such martial abilities into political progress. Ironically, these shortcomings were also found in abundance in the U.S. effort to counter insurgency. At heart lies an understanding of war replete with theoretical barriers and unfounded presumptions, constituting an up-stream source of analytical friction with real implications for how strategy is conceived and implemented. The foundational premise of our study of war should emphasize its political nature: war is not just political violence, but more accurately, violent politics and as such a subset of contentious politics. This placement of politics as the central engine of action, both violent and non-violent, is in line with the manner in which the American Revolution was waged by the Patriots but also Mao Tse-tung’s approach to strategy, as well as that of the Vietnamese. To encourage the necessary type of thinking about war, we propose a theoretical framework that places military tasks in their proper supporting relation vis-à-vis the political and which identifies and explores its interaction with other, non-military lines of effort. Such a framework can be constructed by interrogating the irregular conflicts of the past to derive a guide, or blueprint, for analysis and action. “People’s war,” whether of the variety utilized by the American Patriots or by the Chinese and Vietnamese, all in their respective revolutions, has left a substantial body of material that has been used to operationalize a truly political strategy of warfighting. As the Chinese noted at the time in their communications with Che Guevara, the revolutionary’s construction of a new world is best achieved by a symbiosis of “kinetic” and “nonkinetic” approaches, something Che’s foco theory fatefully failed to grasp, relying instead on the use of violence to inspire spontaneous mass mobilization (and leading to Che’s death in Bolivia in 1967). What unites Mao’s “non-state” approach to strategy with Russia’s, or China’s, “state-based” version of the same is the blending of disparate lines of effort into a coherent whole—a political center that other efforts, to include the use of force, support. To mobilize people and resources politically, find the issues to which they will rally. Simultaneously, win over domestic allies who will back the cause on tactical issues even if they hesitate to do so strategically. Use violence only as appropriate to the situation to enable these two fundamentally political activities. Use non-violence, such as subversion, propaganda, offers of negotiations, or inducements, to coerce by other means than force; this is what Kennan meant by “political warfare.” And internationalize the struggle, making it difficult to contain or terminate within national borders. The approach presented here offers an intellectual blueprint for the necessary type of analysis. Rather than front-load the analytical process with answers, it begins with five questions. What is the threat doing politically? How is it exploiting domestic alliances to better reach its objective? How is violence used in support of its political project? What is the role of internationalization in the struggle? These questions, if used for careful interrogation of threat strategy, correct many of the cognitive shortcomings of present-day analysis and policy. Rather than detach military and security affairs from their political purpose, they force close consideration of their intimate relation. Rather than bifurcate artificially state and non-state uses of force, they anticipate a blending of styles and of modes of violence to achieve a political effect. Rather than let the use of violence, or of terrorism, eclipse the broader strategy at play, they compel a comprehensive analysis of wide-ranging lines of effort and their interaction. It is through careful engagement with these questions, and the construction of an effective counter-strategy, that we do better in the challenge at hand. The approach serves to map both irregular strategy and operational art, whether violent or non-violent, by either state or non-state actors. Though the framework does not seek to comment specifically on traditional warfare, its treatment of irregular or non-traditional warfare informs, through its emphasis on politics and legitimacy, nearly all expressions of physical coercion. In effect, the manner of analyzing violence presented in this article opens a door to sorely needed theoretical insights into the nature of contention across the standard spectrums and dichotomies. 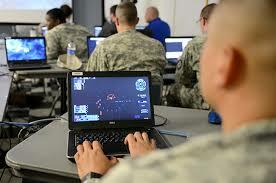 By so doing, it also guides the construction of an effective response to the ambiguous threats of the 21st century. David H. Ucko is an Associate Professor at the College of International Security Affairs (CISA) of the National Defense University (NDU). Thomas A. Marks is Distinguished Professor and the MG Edward Lansdale Chair of Irregular Warfighting Strategy at the College of International Security Affairs (CISA) of the National Defense University (NDU). They are authors of “Violence in context: Mapping the strategies and operational art of irregular warfare”, Contemporary Security Policy, 39(2), pp. 206-233. It is available here.